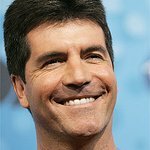 Simon Cowell has donated £25,000 to Manchester Dogs’ Home following a devastating fire that killed over 60 dogs on Thursday night. The fire, believed to be arson, destroyed the rescue facility, and left 150 surviving dogs homeless and in need of vet care. Cowell has also offered a reward of £10,000 to two locals who were responsible for rescuing many of the dogs from the burning building. “All of the surviving dogs are now being cared for – the majority of them going to sister site Cheshire Dogs’ Home near Warrington – and those in need of veterinary treatment have been receiving it,” the Manchester Dogs’ Home said in a statement. A 15-year-old has been arrested in suspicion for the fire.